Petzl BASIC Ascender. 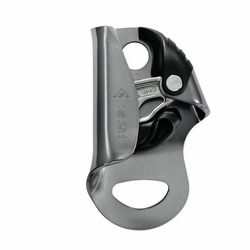 The BASIC is a compact ascender that offers excellent grip for rope ascents. The lower attachment hole is large enough to hold the carabiners for the lanyard and the footloop.